This oversized Egyptian papyrus is almost seven feet long in its frame. It is floated on a black raw silk with matwalls to elevate the UV filtering acrylic. 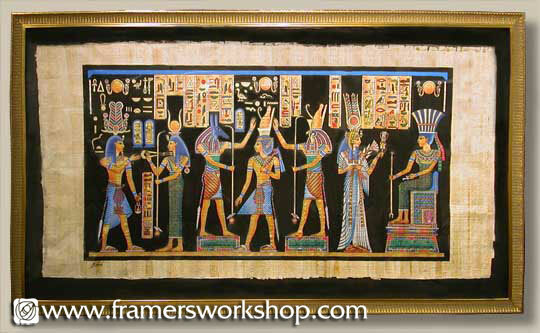 It is framed with an Empire style gold moulding to enhance the Egyptian motif.